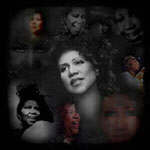 Aretha 'The Queen Of Soul' Franklin!! by which all others are measured!! Welcome to Aretha Franklin Online!! !Thanks for making us the #1 Aretha Franklin Website on Yahoo's Launch page dedicated to Aretha!! The Photo Albums Are LOADED With NEW ADDITIONS that aren't seen elsewhere!! !Be sure to check Aretha's Concert Dates & Updated Biography!! !Currently, Aretha is on tour, so check the tour section for dates, and come out to see the Queen in a city near you.Also, Aretha's LONG AWAITED NEW CD is titled 'So Damn Happy', and is now available.ORDER IT HERE TODAY by clicking on the CD covers located at the top of this page! !The newest single, 'Wonderful', is getting a lot of airplay & great reviews!! !.Get ready for the Queen's return in 2003!! DISCLAIMER:This is an 'unofficial' Aretha Franklin site.We are not funded by Ms.Franklin, nor do we have any contact with her, or her office.Certain images are copyrighted by thier respective owners.If you have any questions, comments or concerns please write The Webmaster.Enjoy! !